An optical pinball machine. 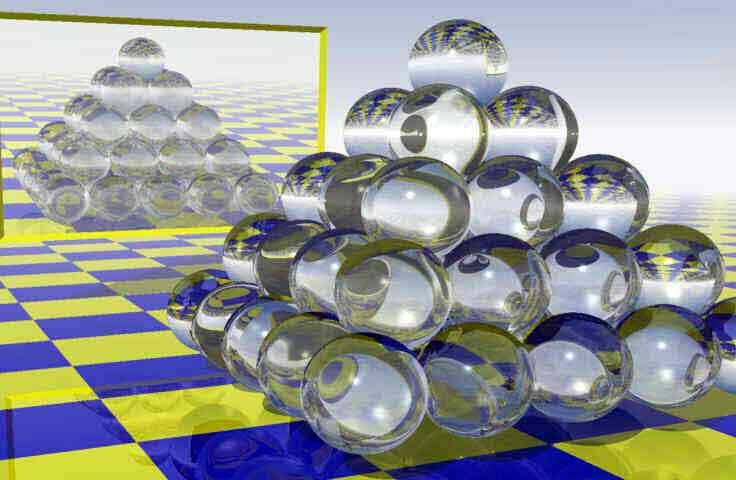 Light rays can bounce around a very long time in all those crytstal balls. The reflective floor and the background mirror don't help matters either. Generating this kind of image can bring a computer to it's (virtual) knees. This page and images Copyright © 1995-2005 by Charlie Comstock. All rights reserved.